What’s the Best Wood for Smoking Meat? There’s nothing that compares to the flavor of smoked meat. Whether it’s beef, pork, chicken or fish, smoking adds a unique and downright delicious flavor that’s simply not achieved through other cooking methods. However, it’s important to choose the right wood when smoking meat, as this will affect its flavor and overall quality. One of the best all-around woods for smoking meats is hickory. It creates a medium-to-heavy sweet flavor with a hint of bacon. Hickory wood is great for smoking pork, ham and beef, although it’s perfectly fine to use it for other meats as well, assuming you want a sweet flavor. Hickory is inexpensive and easy to find, making it the “go to” choice for many backyard chefs. Of course, there are other woods to consider when smoking meats, so don’t limit yourself to only using hickory. Hickory might be the most popular wood for smoking meat, but oak is a close second. A good rule of thumb is to use heavy woods like oak and hickory for heavy meats like beef and pork, while lighter woods should be used for smoking lighter meats like chicken and fish. Oak offers a similar flavor as its hickory counterpart, adding a touch of sweetness to your meat. We can’t talk about woods to smoke meat without mentioning maple. Classified as a lighter wood, it offers a milder and more subtle flavor than its heavy wood counterpart. Walnut creates a strong, heavy smoking flavor. For this reason, many people prefer using it when mixed with lighter woods like maple. Walnut is great for any type of red meat, but you should follow the rule “less is more,” using a small amount of walnut when smoking meat. Regardless of which wood you choose when smoking meat, make sure it’s dry. If it contains too much moisture, it will burn slowly and produce more soot, which can negatively impact the flavor of your meat. The bottom line is that you should allow your wood to dry out before using it to smoke meat. If the wood is store-bought, it’s probably already dry. But if you harvested it by hand, there’s a good chance that it contains a high moisture content, in which case you’ll have to dry it. Ask any professional chef and he or she will agree: the most important part of grilling a steak is ensuring it’s not overcooked. When cooked too long, steaks become tough and dry, making them less appealing than their juicy counterparts. This is why many steak connoisseurs prefer their meat cooked medium-rare, which has a warm red center throughout. Unfortunately, though, knowing when a grilled steak is done isn’t always easy. You can always cut into the center with a knife to inspect the color. The problem in doing so is that it releases the juices. And if your steak isn’t cooked all the way, you’ll have to place it the cut-up meat back on the grill, further drying it out. One of the oldest home methods for checking to see if a grilled steak is done involves making the “OK” sign with your fingers. Go ahead and touch your index finger with your thumb. Using your other hand, press down on the area between your index finger thumb (where you made the OK sign). Take notice of how soft this part of your hand is, and compare it to your steak. If you want a rare steak, it should feel exactly like this. If you want a medium-rare steak, it should feel just bit firmer. And for a medium steak, it should feel even more firm. Another method to tell when your steak is done is to compare its tenderness to that of your face. A medium-rate steak should have the tenderness of your cheeks, while a medium steak should like your chin. And a medium-well steak should like your forehead. Of course, this is just a rule of thumb, and this isn’t the most accurate method. The most accurate way to tell when a steak is done cooking is to use a meat thermometer. Yes, you’ll have to pierce the steak, which releases some of its juices. But this is by far the most accurate way to tell when your steak is done cooking. Rare steaks should be roughly 125-130 degrees; medium-rare steaks should be 135-140 degrees; medium steaks should be 145-150 degrees; medium-well steaks should be 155-160 degrees; and well-done steaks should be 165+ degrees. You really can’t go wrong with using a meat thermometer. Kebabs were just meant for grilling. Whether it’s steak, chicken, shrimp, scallops, veggies or a combination of all the above, you can cook some mouthwatering kebabs using a fire pit or grill. It’s a good idea to get into the habit of coating your grill grate with oil before cooking on it, especially when cooking kebabs. If you don’t, some of the food may stick, making it difficult to cook properly. Using a brush, gently apply a high-heat cooking oil, such as vegetable or canola oil, to the grill grate. Once coated, you can then add your kebabs. If you’ve ever grilled kebabs using wooden skewers, you probably know how difficult this can be. Wood isn’t exactly fireproof, so placing wooden skewers on a hot grill may cause them to burn and char. Thankfully, there’s a simple solution to prevent this: soak your skewers in either water or marinade sauce for 30-45 minutes. The moisture should prevent them from burning while your food cooks. Another all-too-common problem faced by home chefs when grilling kebabs is cooking everything evenly. Filet medallions, for instance, will take longer to cook than most veggies. To overcome this hurdle, try separating your food on different skewers. Maybe you can place chicken on one skewer, steak on another, and your veggies on a third. Once the veggies are cooked, remove the skewer and allow the meat to cook for a few more minutes or as needed. This ensures your food is cooked evenly and without some pieces being more done than others. It’s nearly impossible to cut your meat and veggies all the same size, but you should strive to keep them a similar shape and size at the very least. If one medallion is twice the size of another medallion, it will take longer to cook. Maintaining consistent sizes with your kebabs, however, promotes thorough and even cooking. Well-seasoned meat and veggies can make a world of difference in the quality of your kebabs. But it’s next-to-impossible to season all of your food if it’s already on a skewer. This is why it’s a better to season your food before placing it on skewers. In fact, you can place your meat and veggies in a couple dishes (don’t mix the two), followed by coating them in your preferred seasoning. Shake them around a bit and you’re good to go! You’ve seen all of the professional chefs doing it on TV, and now you want to take a shot at smoking meats? There’s no denying the fact that smoked meats have a delicious flavor and super-tender texture that simply can’t be achieved through traditional cooking techniques like grilling or baking. The Native Americans smoked meats centuries ago to preserve their food. But the good news is that any amateur home chef can smoke delicious meats with little effort. Do I Need a Special Smoker? Absolutely not! There are dozens of “smokers” available for sale, many of serve their intended purpose just fine. But the truth is that you can smoke meats using a traditional grill or fire pit just as easily. 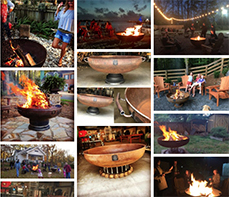 So, save your money and stick with your existing grill or fire pit. Before we reveal the steps to smoking meats, let’s first discuss the differences between it and grilling. While both smoking and grilling are used to cook meats (and other food for that matter), there are a few key differences between the two. Grilling, for instance, typically involves high heat and short cook times, whereas smoking involves low heat and longer cook times. Because of this, smoking requires some type of enclosure that prevents the smoke from escaping. There’s no single “right” way to smoke meats, so feel free to experiment with your own techniques. With that said, it’s usually a good idea to begin by stacking your charcoal off to one side of the grill or fire pit, and then placing a drip pan on the opposite side. Now go ahead and light the coals (don’t use lighter fluid, FYI). Once the coals are nice and hot, pour 1 cup of water into the pan. This reduces the heat, allowing the meats to smoke rather than grill. Next, place your meats on the side of the grill grate covering the water-filled pan, at which point you can close the grill or use a lid for your fire pit. If there’s a vent, open is just slightly to allow air to flow through the grill/fire pit. Depending on the temperature of the fire and how much meat you are smoking, you can expect it to take several hours at minimum. A good way to tell when your meat has finished smoking, however, is to try and pull it off the bone. Good smoked meat should literally fall off the bone.